Sunday morning found creative director Jason Debiak in his usual place at the breakfast table with his wife and 2-year-old daughter. The New Jersey family was happily getting ready for the day when Jason heard his phone buzz. He’d gotten an email from Match.com. Puzzled, Jason opened the email. “It was all there like a weird, painfully single time capsule,” he said on Reddit. Jason had deleted his Match dating profile more than 10 years earlier, but now his profile had come back from the dead as an unsettling reminder of his former single life. When he logged in, he found new messages and profile views in his inbox. The women contacting him had no idea they were sending a message to a married man who was decades older than his wrinkle-free profile picture. A Match spokesperson confirmed that a limited number of old accounts had been accidentally reactivated, but that the issue has since been rectified. Match.com has not disclosed how many zombie accounts are or were live on the dating site. The dating company is open, however, about the fact that it retains a users’ data even after they’ve unsubscribed and deleted their profiles from the site. This is good news for those ex-users who are now happily coupled up and don’t want to be haunted by the ghosts of their online dating past. It’s an unsettling problem that doesn’t have an easy solution because the dating site has complete control over its user information and member database. When Rob P. noticed he had a zombie account on Match.com, he ran into obstacles when he tried to get it permanently deleted from the site. He said the customer service reps would promise to make his profile “unviewable” or “inaccessible,” which he interpreted as “not deleted.” Rob P. is engaged and, for obvious reasons, wanted to make sure his old 2005 dating profile would never show up on the site again. The US does not have a federal data destruction law, but 32 states have data disposal laws that require companies to destroy personal identifying information or make it unreadable or undecipherable. Many of these laws have been passed within the last few years in response to public concern over online privacy. Over the years, some users have even sued Match.com for allegedly allowing inactive, fake, and fraudulent profiles to remain active. In 2011, five former Match members in North Texas filed a class-action lawsuit against the dating site, claiming it had used false pretenses, including keeping thousands of inactive, fake, and fraudulent profiles on its site, to lure people to join. 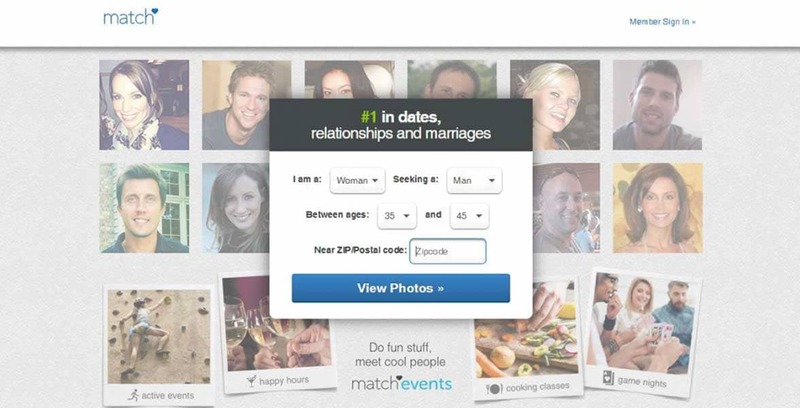 US District Judge Sam Lindsay ruled against the plaintiffs, however, finding there was no breach of contract because Match.com is under no obligation to police its membership base or vet its site content. Match.com retains data on millions of users, including those who have unsubscribed. In 2015, Zeke Graf filed a class-action lawsuit in California. He claimed Match.com knowingly violated the state’s civil code which requires every dating service to notify users about how to cancel their subscriptions. However, Zeke dropped his case before it was ruled on. Under current laws, the Match Group, which includes Match.com, Tinder, OkCupid, and Plenty of Fish, has the right to keep user information in its archives. The company has stated that it only uses such information for audit and legal purposes — unless a glitch reactivates old dating profiles without the knowledge or consent of the user. Jason said he was shocked and horrified by the existence of his old dating profile. He’s a family man now, so he has no business being on a dating site. Match’s accidental reactivation of his account could’ve had disastrous consequences for his marriage had his wife seen the profile and thought it was still in use. Additionally, these zombie profiles pose a problem for those singles actually looking for someone online. Their presence on Match.com calls into question just how many of the site’s dating prospects are real — and how many are undead. Match.com has been around longer than any other dating site, and the Match Group includes some of the largest dating sites in the world. Millions of people have trusted these dating networks with their personal information, but some singles may not have realized that, after they’d found love and walked off into the sunset, the company would keep their information to use for its own purposes.